What Is The Nerf N-Strike Elite Infinus? 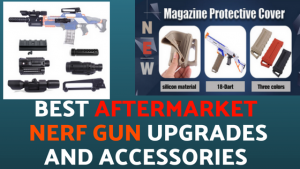 The auto loader to best for loading a few Nerf Darts mid combat and taking out any target that is between you and more ammo, unless you can get a full magazine loaded back up then that methods works too! With 2 tactical rail attachment points on top of the Infinus, you have a bunch of options to getting an edge on your enemy with attachments, do you choose a Nerf Launcher Attachment, maybe a scope? 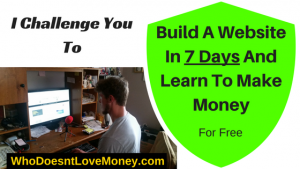 Whatever you choose that works for you is an edge on your enemy! If you are a barrel attachment fan, maybe a Mega Dart Barrel Attachment from the Tri-Strike? Feel free to experiment with barrel attachments and tactical rail attachments! Fully automatic, rev up the motor and pull the firing trigger. When you have a fully loaded Infinus, let the Nerf Darts Fly! When it comes to The Nerf N-Strike Elite Infinus, there is no other Nerf Gun or really any foam weaponry that can compare to the Infinus’ auto loader feature, anytime you want to add more Nerf Darts to your clip or magazine during battle, find some ammo and shove them one at a time i nto the auto loader right in the middle of the Infinus, so simple to reload a monkey could do it! 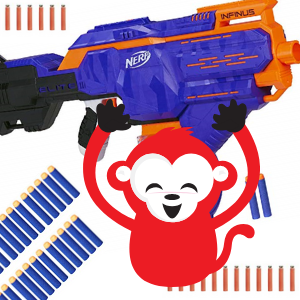 When I get a monkey, I will show you how easy it is to load, then I’m going to be in for my monkey wanting to have a Nerf Battle all the time!!! Oh well, Monkey, bring it on! The Nerf N-Strike Infinus is full auto, all you need to do is hold down the bottom motor trigger and then squeeze the top firing trigger, either firing until the magazine is empty and scavenging back to a full mag or unloading a few Nerf Darts on your target and savaging back to a full mag quicker to unload a full mag on a different harder target. With a 30 round magazine that comes with The Infinus, you have quite the options to destroy your competition, how many shots do you want to hit them with and how long will it take to find more Nerf Darts to scavenge to destroy some more?! Scavenging is key to victory and never running out of Nerf Darts! 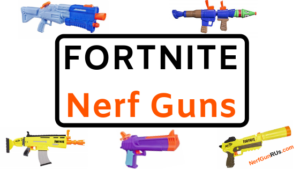 This really depends on the size of the user of The Nerf N-Strike Elite Infinus, if you are a smaller Nerf warrior, The Nerf Infinus is pretty big and bulky, but with practice, I’m sure you will get the hang of it! Who Is The Nerf N-Strike Elite Infinus For? The Nerf N-Strike Elite Infinus is for ages 8+ and definitely for anyone who is looking to fire Nerf Darts super fast and reload even faster to unload some more, hopefully on a different target, if it unfortunately ends up being you who is under Infinus ambush, I wish you the best luck, I sure hope you had your Nerf Gun ready to defend yourself with! 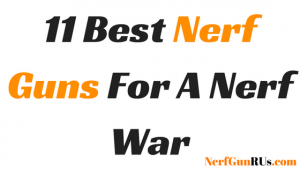 There are many styles of Nerf Combat from defensive to sneaky to aggressive, these styles come with one thing in common, they all need ammo, when you are able to combine any of the above styles with the unique ability to scavenge and load as you find the ammo (quickly) you find in the Nerf War Zone, Battle Zone, Living Room, Front Yard, Back Yard, anywhere you are able to find ammo, you are able to quickly shove them in one at a time into the auto loader which quickly reloads your magazine or clip without having to remove anything, making for much quicker reload to firing time. If you are a fan of scavenger and picking up Nerf Darts on the run, the Nerf Elite Infinus is a perfect Nerf Primary Nerf Gun for you! With 30 Nerf Darts to unload on your enemy, if you just need a larger Nerf Gun for intimidation faction then you might as well get an awesome scavenge feature and load Nerf Darts faster than anyone else can when they have to take out their magazine or clip before reloading and be able to unload your whole magazine of 30 Nerf Darts on your enemy as long as you can hold down both the rev trigger and the firing trigger, make sure your motor is at full speed for the best shots! 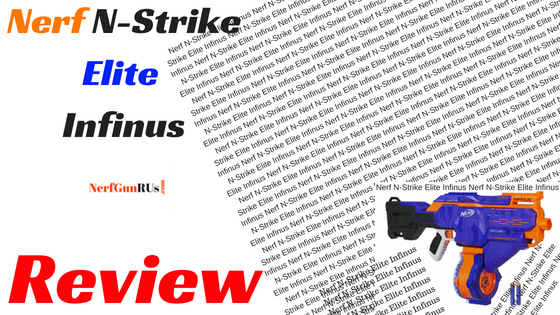 Is The Nerf N-Strike Elite Infinus Worth The Price? Factors that really need to be looked at here with The Nerf N-Strike Elite Infinus are the scavenger Auto Loader feature, the intimidating size, the power from the 4 D batteries, and the fact everything is fully automatic! When you load D batteries into a Nerf Gun the weight goes up but so does the firepower, for 30 Nerf Darts to be fired over and over straight at your target of choice you need to be able to have a good power source, add on the power needed to use the auto loader, the 4 D batteries are just fine for me! 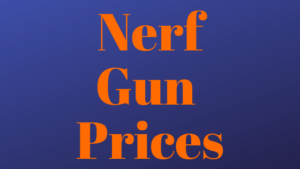 When you are looking for a new Nerf Gun of course price is a factor, every Nerf Gun reviewed here on NerfGunRUs.com is on NerfGunRUs.com‘s price page for you to compare and find the Nerf Gun that best works for you! With the full automatic firepower, the high ammo capacity, the intimidation factor and the awesome auto loader, Yes I Say The Nerf N-Strike Elite Infinus Is Worth The Price! With the Nerf Elite Infinus, it’s all battery powered, the rev motor, the firing trigger, oh and the auto loader feature are all running off battery powered Technology! I am only saying this to sway your vote towards battery powered Nerf Guns, but never will I knock pump action! My final opinion of The Nerf N-Strike Elite Infinus is when you are in a pinch and run out of Nerf Darts there is no quicker way to load a fully automatic primary Nerf Gun than with The auto loader on The Infinus. Of course if you were to take a front loading Nerf Gun, something like the Hammershot which front loads and fires with hammer action, you can scavenge, reload and fire quickly, but I’m talking no magazine removing, just shove in and load as many Nerf Darts as you can and then go back to full auto firing and destroying the competition! When it comes to The Infinus, the front for grip is pretty big and comfortable so practice will determine how you choose to hold your Infinus. The 30 Nerf Dart Magazine that comes with The Infinus is honestly just as fast to reload with the auto loader feature if not faster than standard reloading. If you are willing to put this to the test, make sure you leave the results in the comment section below, maybe you are the world’s fastest Nerf Magazine Loader!?! What kind of mods are you making out of the Infinus, what attachments are you adding!?!? Let Me And Everyone Else Know In The Comments Below! 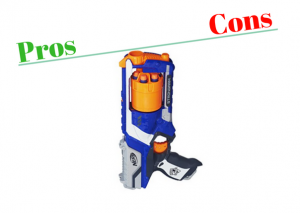 No matter what, if you are all about finding Nerf Darts on the ground and using them to your advantage, there is no faster option than savaging the Nerf Darts you find off the ground, shoving them in the auto reloader of your Nerf Infinus to get back to dominating. 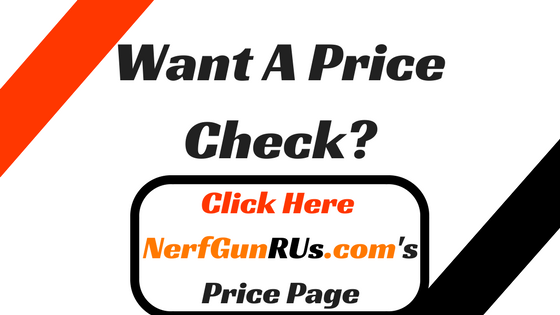 If you find the scavenger life for you, clicking the Nerf N-Strike Elite Infinus Banner Below will take you directly to Amazon.com where you can make the safe and secure purchase of your new Nerf Infinus! Thanks for taking the time to check out my review of The Nerf Elite Infinus, the new design of auto loading is quite awesome and useful in many situations, whether you prefer loading one Nerf Dart at a time through the auto loader or just taking your clip out and see if your reload speed is even faster, either way works with The Infinus! How Do You Plan To Reload Your Infinus? What Kind Of Battle Style Are You Going To Use?! 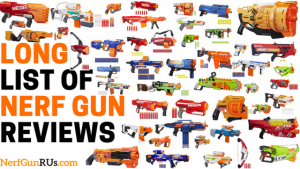 Make sure you leave your opinions in the comment section below and if you have a review of your own, feel free to email me your full review to possibly be featured in NerfGunRUs.com’s fan review page!